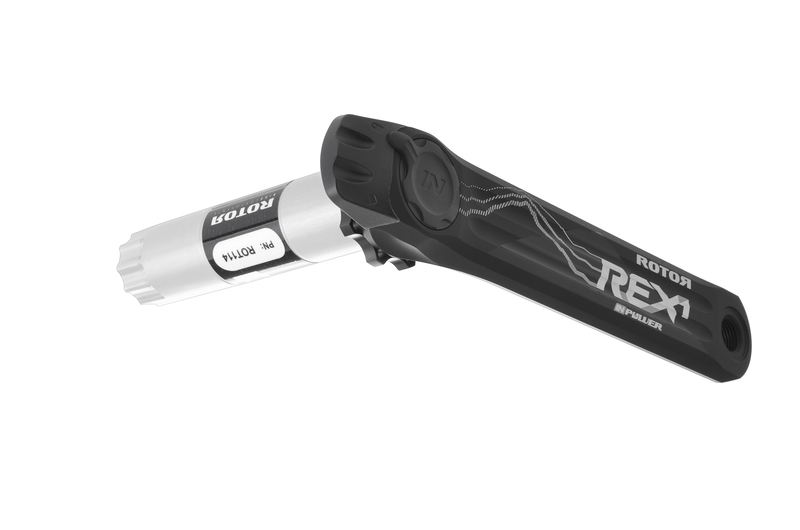 ROTOR has as of today somehow managed to accomplish the near-impossible in this day and age: Putting a brand new unseen power meter on pro rider’s bikes in major events for months…and have nobody notice. Stepping that up: Having their athletes even tweet and Instagram about it, and still nobody notice. But, I’m pretty sure after today, people will definitely notice. 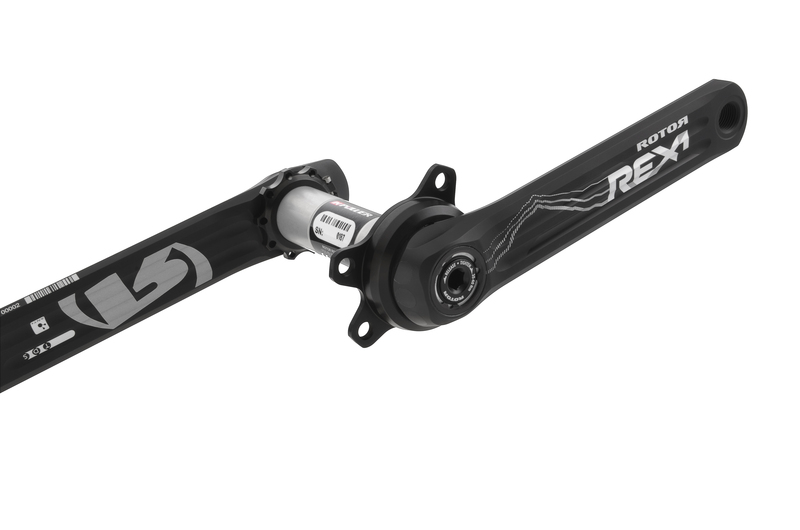 That’s because ROTOR has come out with a completely new line of power meters, the INpower line, which is a series of axle based systems that measure left-leg power from within the bottom bracket. It then transmits this power over ANT+ to any compatible ANT+ power meter capable unit (i.e. your Garmin). To understand where precisely the power is measured, look at the handy dandy modified image below. This is basically measuring in the same region as the Ashton Instruments offering I showed earlier in the week. 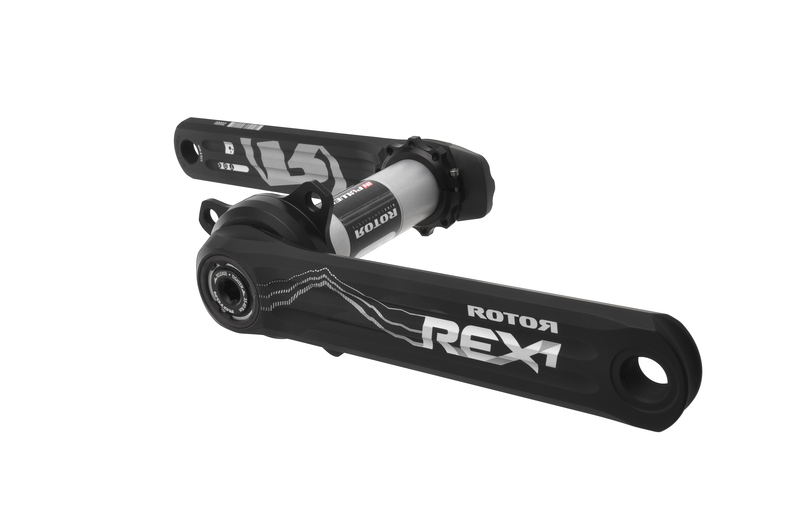 The major difference though between them and ROTOR is that ROTOR is specific to their own crank arms/sets, whereas Ashton Instruments is looking for broader compatibility. Also, Ashton is cheaper. But, they’re also a year away and don’t have anything near shipping-quality – whereas ROTOR does. That’s obviously a huge difference. The ROTOR INpower measures torque utilizing strain gauges and an accelerometer within the axle at 200hz, thus covering the entire pedal stroke. There are essentially three crank arm choices for road bikes: the 3D30, 3D+, and FLOW (all of which are ROTOR crank arms). Then within that you can choose to buy the left-arm only, or buy the full crank set. Note that no matter which you choose, it’s still measuring only left-leg power (sorta like Stages Power, or last year’s ROTOR LT). Here’s a look at the frame compatibility across major bottom bracket types, starting with the road/tri units. This chart can be simplified as: Everything but BB90. No matter which variant you get, the unit uses a single AA battery that is accessible via the little compartment door you see on the side of the crank arm. This AA battery gets an impressive 300hrs of battery life before replacement is required. As part of that, the transmission over ANT+ will send your total power to compatible head units. Additionally, it’ll also send the ANT+ metrics of Torque Effectiveness and Pedal Smoothness. Most recent head units support those metrics being displayed and recorded. 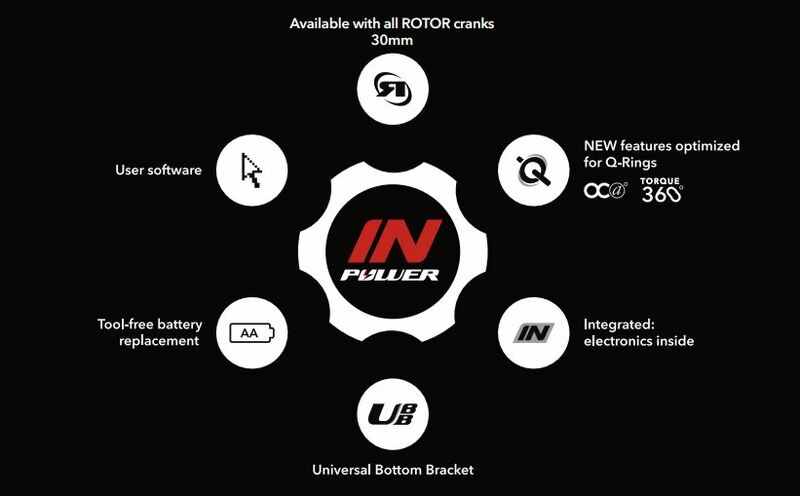 Additionally, like the previous ROTOR POWER systems, the INpower system is indeed fully compatible with Q-Rings (non-round rings), which isn’t found on any other crank-region based power meter on the market (essentially only the PowerTap has been proven to support them). As I alluded to earlier, what’s probably most impressive is the teams actually using it already in major events. 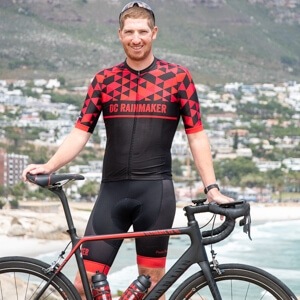 This includes riders on Lampre-Merida and all riders on MTN-Qhubeka p/b Samsung (road WorldTour Pro Teams), and then on the mountain bike side, MMR and Rocks & Co.
More than using it, the fact that nobody noticed. This is in part because most of the cycling media tend to look at the drive side of the bike for photos. When in reality, it would only be noticed (with eagle eyes) from the non-drive side. And in fact with a bit of careful looking at Team MTN’s Instagram feed – they’ve been hiding in plain sight. In some cases (such as on April 5th), one of the photos has a simple ‘Blur’ on it – that adds just enough fuzziness for folks not to realize the crank-arm closest to the camera is actually the INpower. In the case of MTN-Qhubeka, they’ve been testing them since November of last year, and then riding full time since their January training camp. Finally, a minor note about their existing ROTOR Power (full left/right) and ROTOR LT (left only) power meters. Those actually had the prices adjusted a month ago…but nobody noticed. The new prices in the system since then have been: $1,079 (left only, was $1,490), and $1,559 (full left/right, was $2,400). 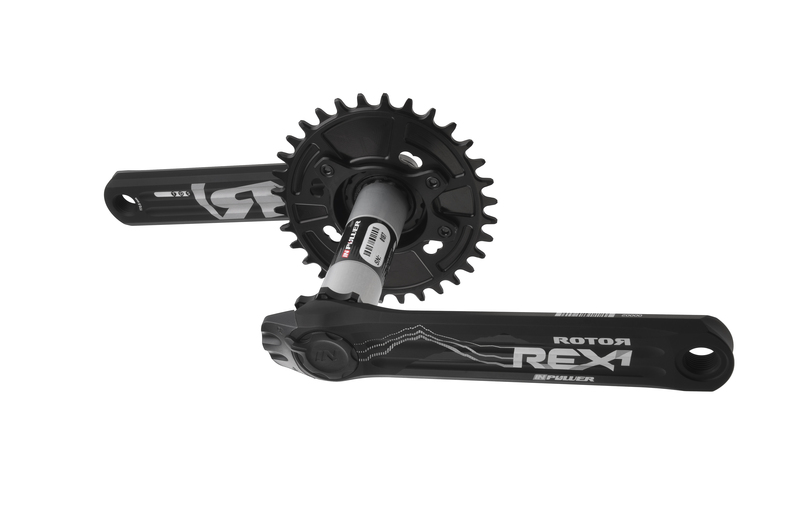 The reason why the ROTOR LT system is ‘more expensive’ than the base INpower units is simply that the ROTOR LT system starts with the 3D+ crankset, with ‘set’ being the operative word. Whereas the INpower unit is just the left crank arm only, and at the cheaper 3D30 units. ROTOR has plans to send me over a unit for testing, though the queue for new power meters is definitely getting a bit long! Was wondering with the Ashton how they would deal with different brands/materials of crank spindle. Not an issue for this one. 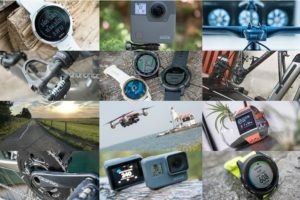 Are you planing to post something about Vector 2 from Garmin and the upgrade kit from Vector? You’re a jolly good fellow Ray. Excellent. I was wondering if something was int he works as UK Rotor (Velotech) have the current price dropped to 999. I know that you where fed up with your test units before Ray, but have to say since getting mine (2nd hand) it has been pretty good. I’m guessing that’s because power to the right side crank arm doesn’t apply any twisting forces to the axle since the power originates “before” the spider and chainrings. And power2max reduced their prices! Interested to see what happens when using it in conjunction with a spider based PM and doing one-legged drills with the RIGHT leg. Being a left-only PM, it should read 0W, but I can imagine that some force from the drive side will apply some torque on the axle. Where does this leave the rotor power Lt? Presumably it will be discontinued (even though its only been on the market what seems like a few months). Why would you buy it over this cheaper, more discreet option? I dont want to bust your balls, but are you still in the process of testing the pioneer powermeter and will you be doing a long term in depth review soon? Also, what other powermeters are on your list to review in the future? Yup, still in process. I noted last week that it or the Verve Infocrank is next in my list. I’m hoping to wrap up one or both this weekend for publishing over the next week o so. Outside of that, the list includes the 4iiii Precision and PowerTap P1 (don’t yet have final unit on this side though). The Rotor In went indeed quite unnoticed. Some guys at weightweenies forums had spotted it already though and posted some pics of it in their New Powermeter Rumours section. Quite a few there seem to use your site as a refence as well, and hence quite often link to it! (For procycling news – i find it one of the best forums). 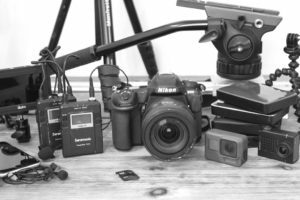 As always: great post and impressive how you get so many things done! Keep up the good work. It’s meaning that it’s not directly compatible with iOS (which is accurate since it’s ANT+). If you have a conversion option like the RFLKT+, then you’re good. Accelerometer built in- can we assume this will output cadence as well as power? Yup, no problems at all! $799 (existing users like myself)? really Rotor? I think they missed the price boat on this With Powertap (nice being able to swap wheels between bikes/friends) and Viii ($399) and Watteam Powerbeat ($499) and power2max (729) I feel they priced themselves too high (and what the hell am I to do with my left over left arm crank? a trade in program would have been way better) Sorry rotor, I have your cranks, and qrings, but power is out. 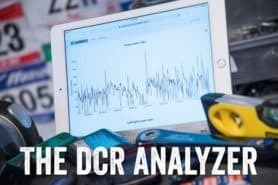 After reading the review of the PowerBeat by DCR, temperature swings and “smoothing” seem a little spooky. Does crankset mentioned include the chainrings or it’s just left + ring crank arms? Will it work with Rotor track cranks? hi there, I emailed Ashton and they said their axle would be 100g or so. How much does rotor weigh? also I’m not sure what’s the difference in their new right leg crank measurement vs the LT? It has been working very well and results are very interesting. However, I have had two instances now of the signal being lost. First time was after a inactivity of several minutes. The Inpower went to sleep – but when I started again I eventually had to do a manual connect to get my Garmin to see the meter. Yesterday was much more serious. The signal was lost mid-ride. I pulled over and tried to reconnect but nothing I could do – including deleting and then manually replacing the sensor could get them to reconnect. I even re-booted the Garmin but it didn’t work. I also took the batter out of the meter and put it back – but no effect. 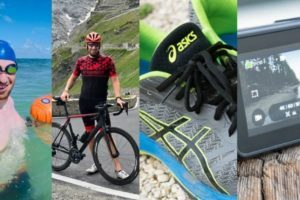 I then had the idea of getting the Garmin to search for a cadence sensor – and it found the Inpower and connected automatically. I’m reporting this in case anyone else who has an Inpower unit has a similar problem. Hey all, I managed to land an inpower flow from Kervin and have used it several times on the trainer with my power2max on my 3d+ drive side l, I haven’t put my q rings on the drive side yet of the flow as I’m still on the fence with it. It’s measuring about 5-8 watts higher than my power2max type s. I expected some since it’s closer to the energy source and the power2max is known to meter a little low. The software is cool. Tells me I should be in position 4 on the q ring. I haven’t noticed any drops yet but I’ve only used it on the trainer. 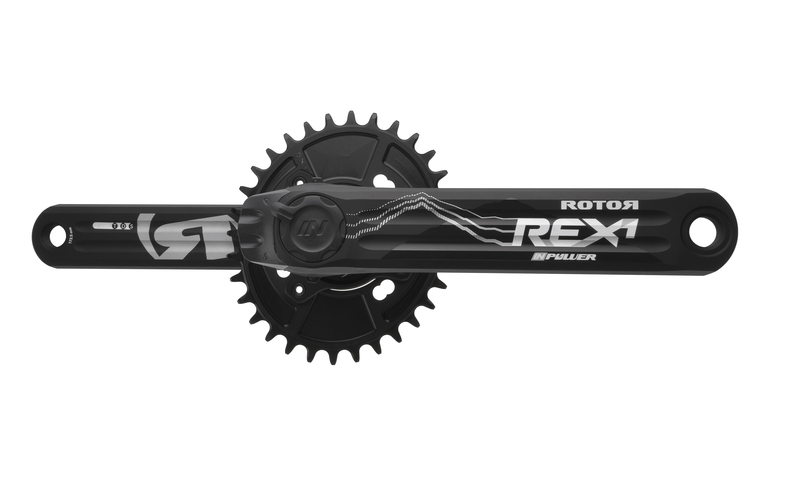 If you’re looking to get a rotor crankset it is a good deal as that alone will run you 500 for a 3d+ or a Flow, so you’re dropping another 600 for a meter. 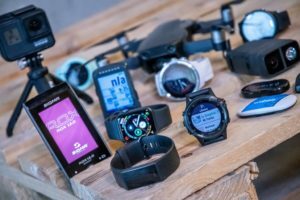 I looked at the 4iiii system, the watt team powerbeats and pedal based one and came to the same conclusion on all those systems. They are going to break, I was fuzzy about stages in the crank arm, it’s way more secure than the afore mentioned products. I just know I’ll damage or lose the glue on ones. This looks pretty durable too me. Just to add a bit of extra detail, the very odd thing was By the way, the Garmin reported “cadence sensor found” – and then logged it correctly as a power sensor! whats the weight penalty between the p2m & rotor inpower? Do you still have issues with this INPOWER pm going to sleep mode and not properly recovering? Did any FW update already fix the issue for example? Well they were about the same till I put the aa in the inpower, then it was a little heavier, about 20 grams of think. But my p2m is on my 3d+ which is lighter than the flow crank as well. My 2cents, stick with the p2m,it’s easier to deal with. And it’s power agrees more with my trainer power meter. Would love to hear a reply to Jonathan’s question above^. I’m debating the same for my next build. And thanks for the data, Steepcreeker. Sorry guys, already sent the inpower back so I can’t reweigh that. I’ll reweigh the p2m soon. 670 g stick in my head. The 3d+ with p2m is about the same as the inpower flow. So the inpower is a little lighter. It’s like 20 grams on the same crank. The p2m adds 80 grams to my 3d+ as you take the mas spider off and its about 60 some. I’ll weigh and post my next chance. For me the gram difference was negligible. It came down to accuracy, durability, and ease of use. P2m won. It agreed most with my inride trainer and at triathlon races I just go. You don’t have to calibrate it. The inpower though will be more aero. It’s claim more precise but I found out wasn’t as accurate so if you’re using multiple meters it could be a problem. It’s only left leg after all. Hello, do you know if I can just purchase just the non drive side for less $$$$ ? Not yet, unless you get it from Europe. Eventually you can. Hey Steepcreeker … the Inpower measures left AND right crank arms. Sorry, no it doesn’t. It would have to have a strain guage on the left crank arm or the spider. It doubles like stages. No measurable torque is applied to the axle. From the drive side. That’s one reason I preferred the p2m. That’s not what Rotor told me. Are they not measuring torque from within the axle on the Inpower unit as stated? I think we need a Rotor design engineer to come on here and clarify their position on how they acquire measurements rather than from people who do not represent the company and/or the product. So what do ya say Rainmaker? Can we get them to chime in here once and for all? I want to make a purchase, but I really would like to see a definitive statement from ROTOR. The person you talked with is confused unfortunately. It’s left-only. Fear not, I validated it four ways to Sunday with the lead engineers on the product, and they also validated this post after publishing for technical accuracy. Sorry! Bummer … So what is your take on how the Independent leg power, Torque Efficiency and Pedal Smoothness measurements are derived? It’s basically just based on assumptions of doubling, so I put little stock in it. I think we’re going to start seeing a lot more over the next 3-6 months on why one-leg power is more troubling than folks realize in terms of data. It becomes more clear the more data you get – especially for advanced analytics. WKO4 starts to show some of that, but I’m looking to do a post later this fall talking to some of my long term trends after two years of riding with fully capable Left/Right PM’s to show what left-only would look like. Did you ever get around to that post regarding long term trends and what the data would look like with a left-only PM? Does this ROTOR offer cadence? You tested the rotor power (both left and right measurement) meter last year , and had some problems with the right measurement (was about 15 % off I believe). Are those things fixed with the new firmware SW 0.900 ? I don’t know. I sent back the unit and haven’t tested since. I just don’t see it likely I’d reset the dual system at this point. Pricing is out of whack, and there’s just so little interest in it from readers unfortunately. I have a Cervelo R3 that currently has a non-power meter Rotor 3D+ crank in it. My bikeshop is a Rotor Premium dealer and is offering me to install the Rotor INPOWER powermeter as an alternative to the Power2Max pm that I asked him to install for me. Price wise, there won’t be too much difference for me if I count it all (shipping, special intall tool for P2M, etc…) . P2M would be 50 Euro or so cheaper all in, but then again since he is Rotor Premium dealer, I will be assured of better service if I go for Rotor. However, the “Rotor INPOWER goes to deep sleep after 2 minutes of not pedaling and you can’ fix it anymore” problem is worrying me a bit: any experiences with that? 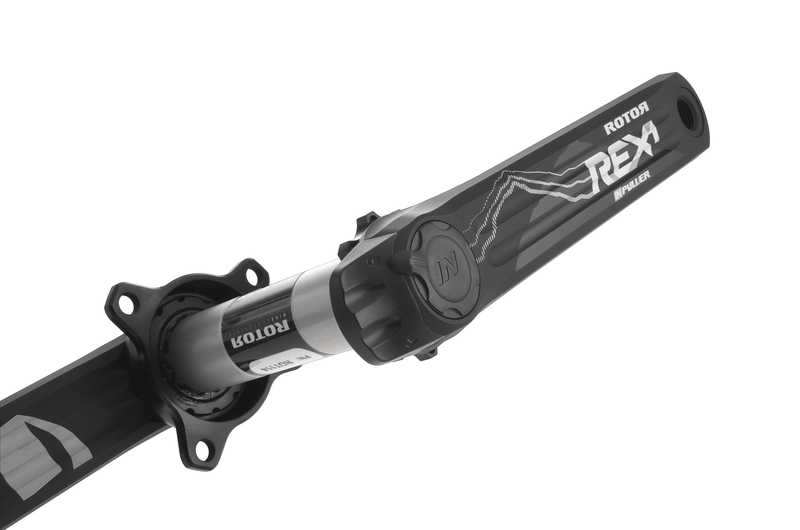 Is this Rotor pm now stable enough to ride with without too much trouble? Any recent experiences out there? Or any in-depth tests somewhere on the internet I haven’t been able to find yet? Steven DV, I haven’t used the INPOWER but I did have the Rotor Lt and was getting really inaccurate low readings. Rotor customer support were terrible and didn’t believe my data (stating that it was all the other power meters I was doing direct comparisons to that were inaccurate!). I have since switched to P2M (I have two units now) and absolutely no issues with either at all. Its accurate and dependable. I would definitely advice going for P2M over the rotor. Also remember the INPOWER is left power only, whereas P2M is L/R (for less money). 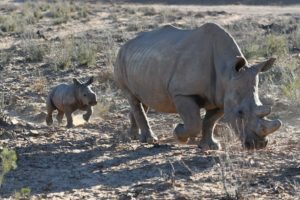 Having gone through the experience of dodgy unreliable data its just not worth the risk (its also a complete ball ache gathering data to prove you’ve got issues). I bought mine from a reputable LBS and still had to threaten with small claims court to get a refund! You’ll struggle to find a bad word about P2M, and since you’ve already got a 3D+ crankset cost is not an issue. – The new firmware further improves connectivity between INpower and bike computers. INpower has a sleep mode that prevents excessive battery consumption when paused for a while. When in sleep mode, INpower switches off and needs to be woken up again by loading the axle with torque. This can happen after a long descent or during a mid-ride coffee break. 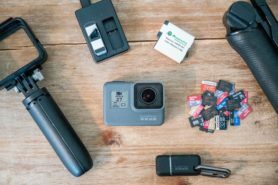 – The new firmware makes it easier for the bike computer to reestablish connectivity and ensures that the device finds INpower in any situation. After a season of racing on the pm2 for both mine and my wifes CD0.1 I can say the pm2 is great for triathletes. On a busy race morning your racking gear and nutrition , warming up, and trying to get your (and your wife’s) wetsuit on before your heat. Not worrying about zeroing your pm and connecting issues is priceless. The kiss principle is king. The pm2 just works. It gives you what you need in a bombproof unit. DC. I bought and returned the InPower. It dropped data (showing zeros while I was working) and firmware updates seem to require an ANT+ USB module and a ‘dongle’, neither of which are included in the box. I’m wondering if you had a similar experience. I am including the pic showing the data from the InPower cadence. The solid pic is from my Garmin cadence sensor. Here is the InPower data. The question I have is why are the pro riders using the one sided powermeters? Surely They would be using the Rotor power dual sided meter to get a full picture of their individual pedal strokes. It does not make any sense a pro rider opting for a single sided version when there is a double sided version.. is there a problem with the double sided version? Double check that you don’t have Garmin ANT Agent, Garmin Express, or any other Garmin application running. As it’ll block access to the stick (just close them and ensure they’re closed in the task bar). I just got an email from what I think is an upgrade from ROTOR. They now have a 2INPower. 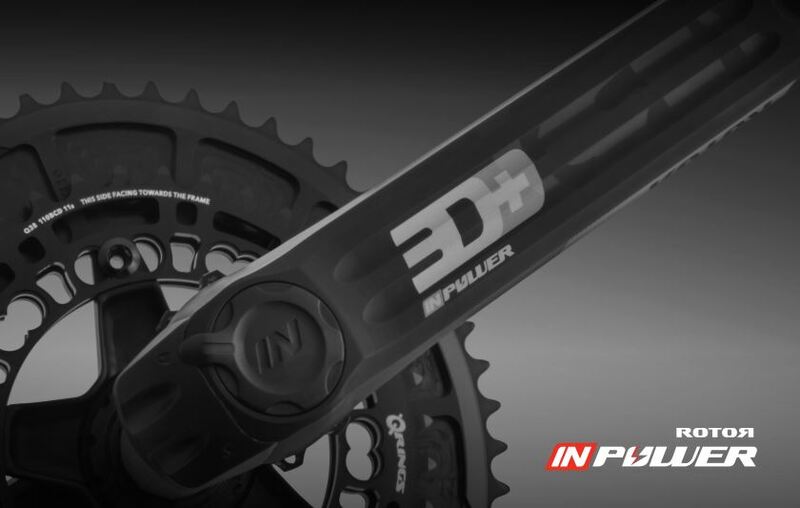 Have you gotten any feedback about this power meter yet? 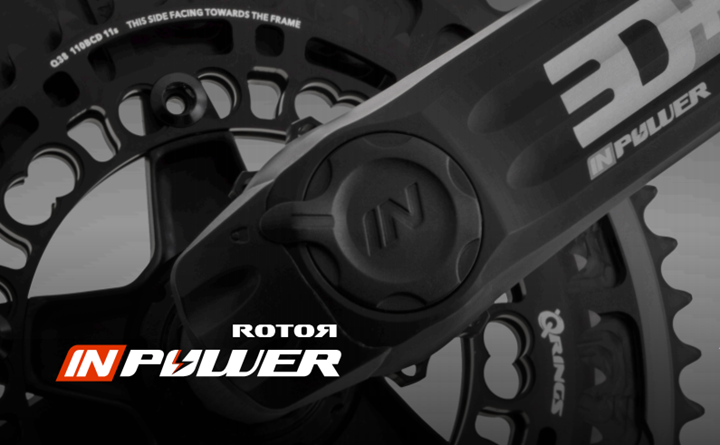 Greetings DC …any chance to get a review on the new Rotor 2 Inpower? Looks like they finally got it together. Yeah, there’s supposed to be a unit on the way to me (last week), not quite sure where it is. Can you use a 28t or 30t chainring? I recently bought the Rotor INpower Flow. For some reason the Rotor software simply will not load on my Mac (running on the latest version of El Capitan op system). I had a Mac “geek’ try to install following the Rotor instructions, but no joy. When I contacted Rotor they really couldn’t help – they suggested installing earlier versions of their software, which also didn’t work. Has anyone else had similar issues, and if so, what is the fix (if any)? So hoping for InPower to be solid and user friendly! Did you ever get the software to work? No, unfortunately couldn’t get the Rotor software to work on my Mac. Rotor support was really no help. After installing it, and restarting my Mac, I have waited around half a minute, and it finally opened, and worked without problem. Tested it on 10.11 and 10.12, works perfectly. Which ANT+ dongel do you use? I have a chinese one from ebay, the logo says “ANSELF”.